Harvard's beloved blonde takes the stage by pink storm in this fun, upbeat story of self-discovery. Elle Woods appears to have it all. Her life is turned upside-down, however, when her boyfriend dumps her so he can start getting serious about his life and attend Harvard Law. Determined to get him back, Elle uses her charm to get into Harvard Law. At school, she struggles with peers, professors, and former boyfriend Warner Huntington, who's seeing another female member of the class. With the help of Paulette and Emmett, though, Elle quickly realizes her potential and sets out to prove herself to the world. 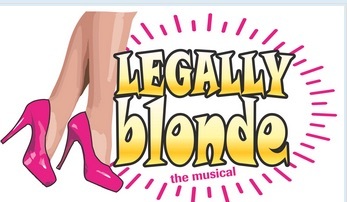 Based on the adored movie, Legally Blonde The Musical stays true to form with a peppy score and playful book. 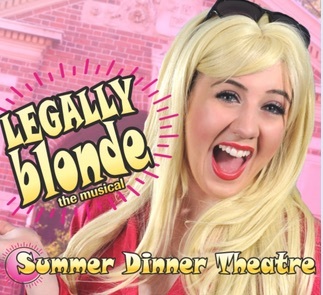 This musical is ridiculously enjoyable from start to finish, including such songs as “Serious”, “Chip on Your Shoulder”, “Find My Way”, “Legally Blonde”, and more! Much more fun than law school, or even the best of lawyer jokes, this is a must-see show! And get your tickets now - no LSAT required!